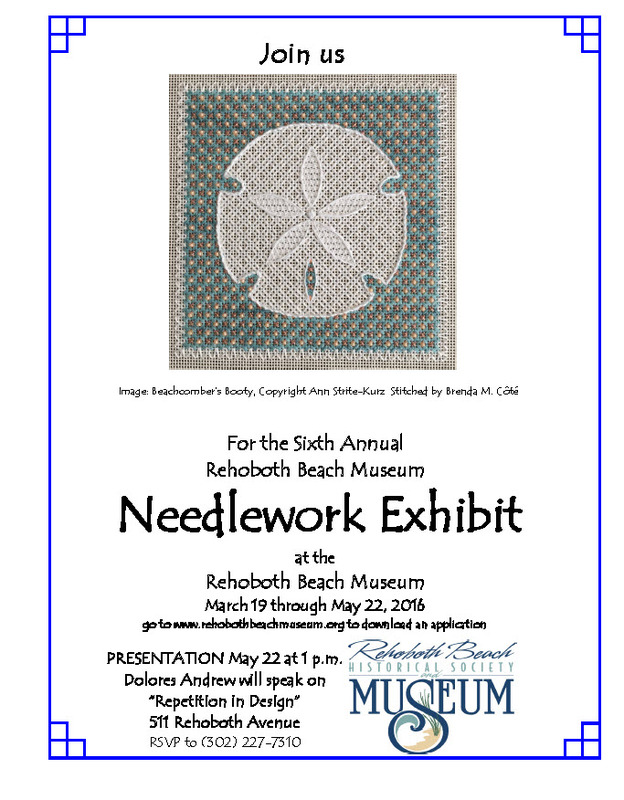 March 16, 2016--Yesterday I was a teller or page (love the word page--makes me think of kingdoms and brave knights) to the judge of Rehoboth Beach Museum's 6th Annual Needlework Exhibit. Have been doing this every year and love learning what makes a stitched piece a ribbon winner and seeing all the beautiful exhibits up close and personal. Would not miss this opportunity for anything. Hope everyone, near and far, will visit the museum to view this exhibit here at the beach in Delaware during Spring. There's no entrance fee (donation can be given) and will bring some joy to your life. See you there.